Do not disturb while driving is such a great feature by Apple which helps you very much. Consider you are driving and suddenly there is a beep of notification, or the lights turn on, it can take your attention away from driving, and there are possibilities of wrong decisions while driving. 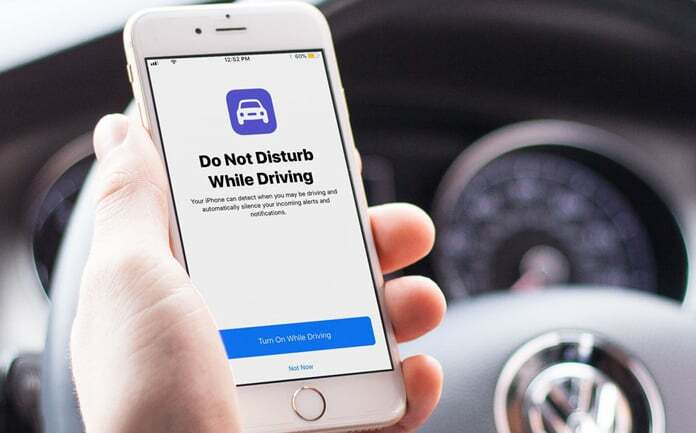 That’s why ‘Do not disturb while driving’ feature is crucial. It will not permanently block the notifications but just will not disturb you. You can surely see the notifications after your driving. This feature works automatically, and you don’t worry about its activation. But sometimes it activates even you are not driving. Now the question is ‘how to turn off do not disturb while driving.’ The answer is very simple, and you have to follow some basic, easy steps. When you see the message “You will not receive Notifications while you are driving.”, You have to tap on the message under that notification. 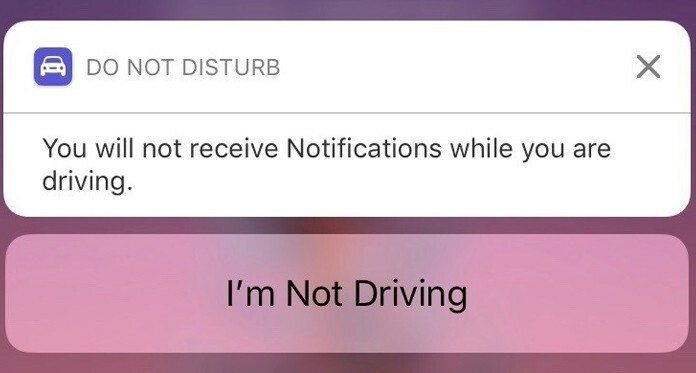 That message will be ‘I’m Not Driving.’ Once you tap on this message, the do not disturb feature will turn off. There is another way to avoid such kind of notification. 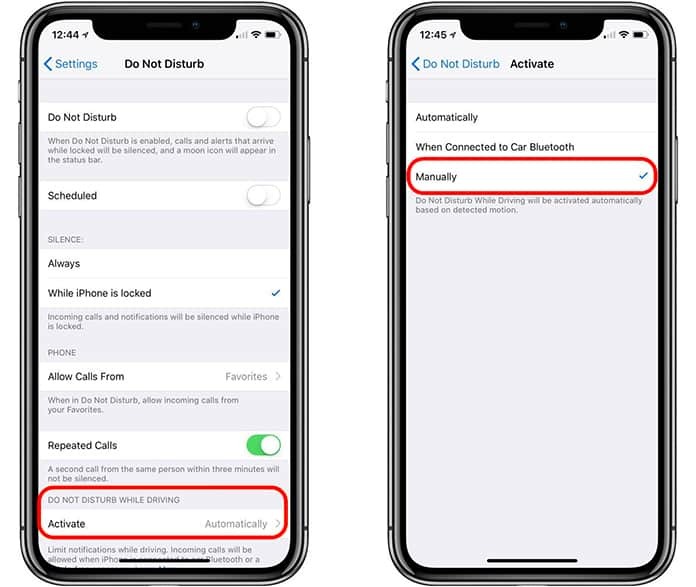 You can change the settings and activation options of the ‘Do not disturb while driving.’ Just follow the steps mentioned below. Then you need to select Do Not Disturb > Activate. You can go with any option according to your preferences and can reset the option when needed. If you go with the option of manually turn on the feature, you should be alert and turn on the feature yourself before driving. It will help you and ensure your safe driving. If you want to quickly access the do not disturb while driving option you can easily add it in the control center. To do that, just go to Settings -> Control Center -> Customize and add the Do Not Disturb While Driving option in the menu. 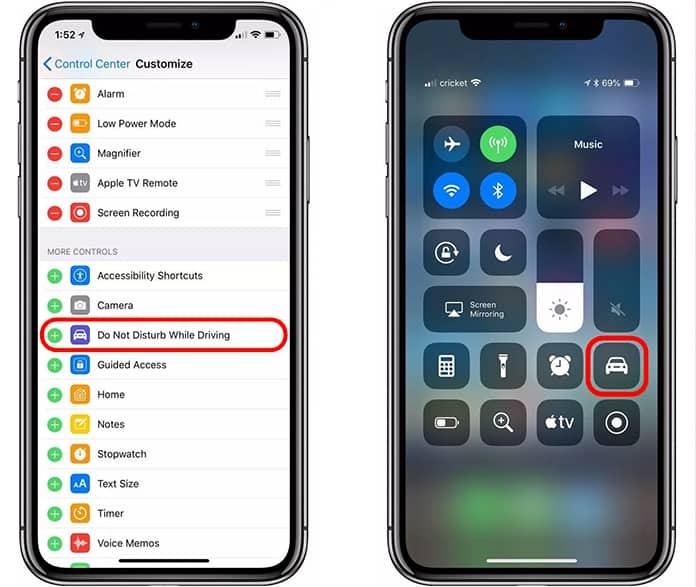 Hope you are satisfied with the offered solutions to disable do not disturb while driving option on your iPhone. If you have any additional tips for our readers please share it in the comments below.